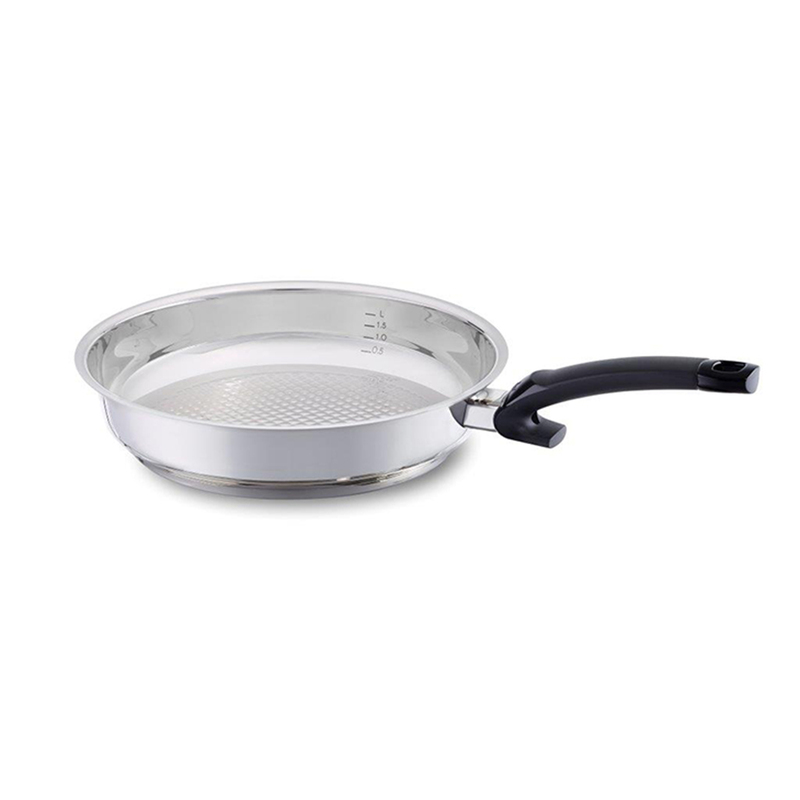 and perfect for fast low-fat frying at high temperatures. 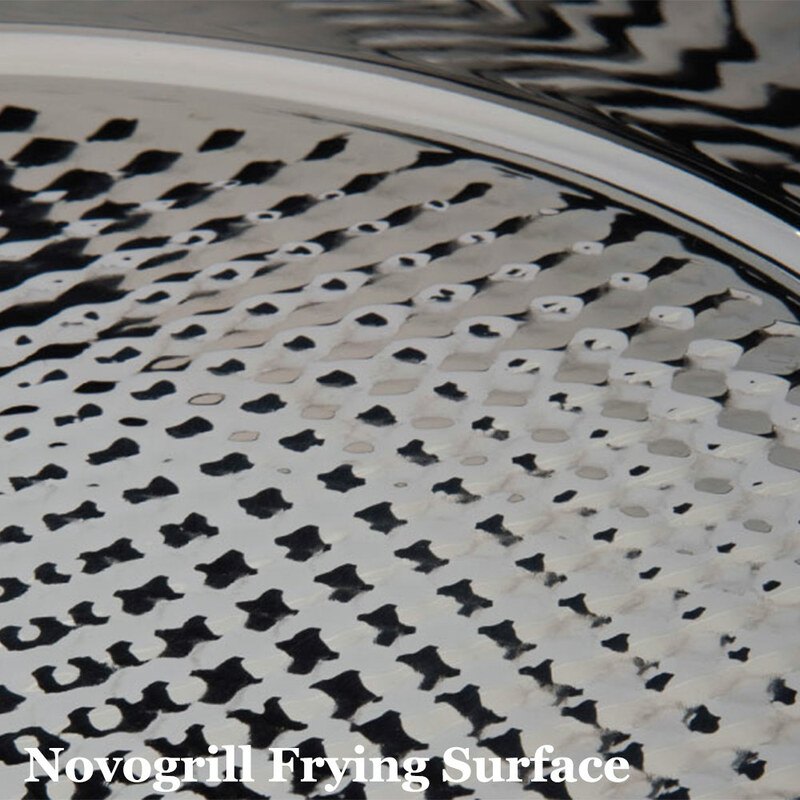 Our Crispy Steelux Comfort 18/10 stainless steel fry pans feature the internationally patented NOVOGRILL bottom, a unique honeycomb texture perfect for grilling and frying with very little oil. A healthy way to grill indoors. The ergonomic safety handle lies perfectly in your hand and the innovative shape of the heat shield offers effective protection because it stops fingers from slipping. 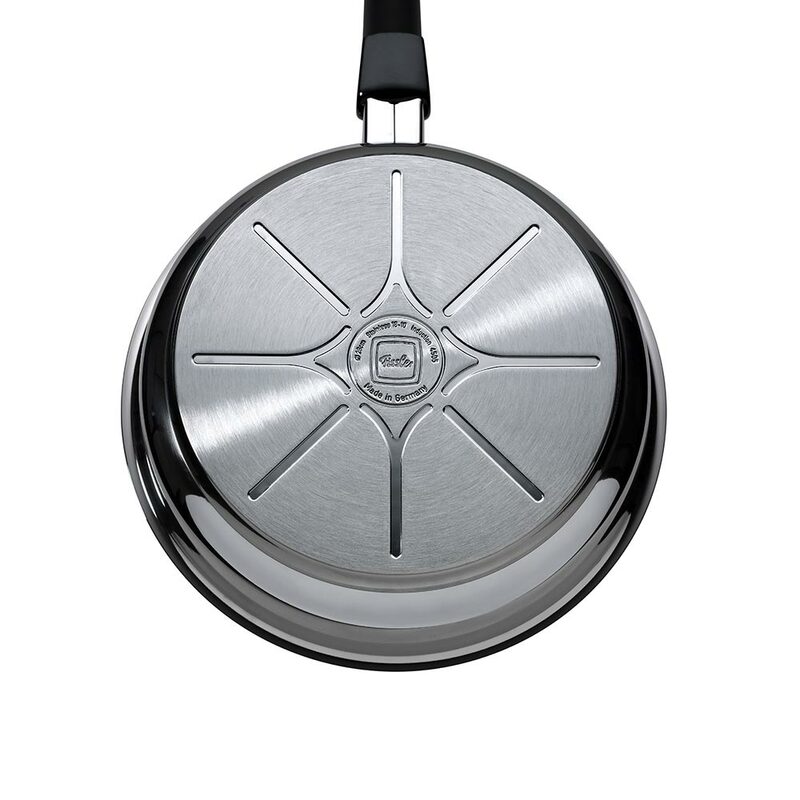 The innovative and clever "Clipix" spatter shield is an available option for the Crispy Steelux Premium pan. 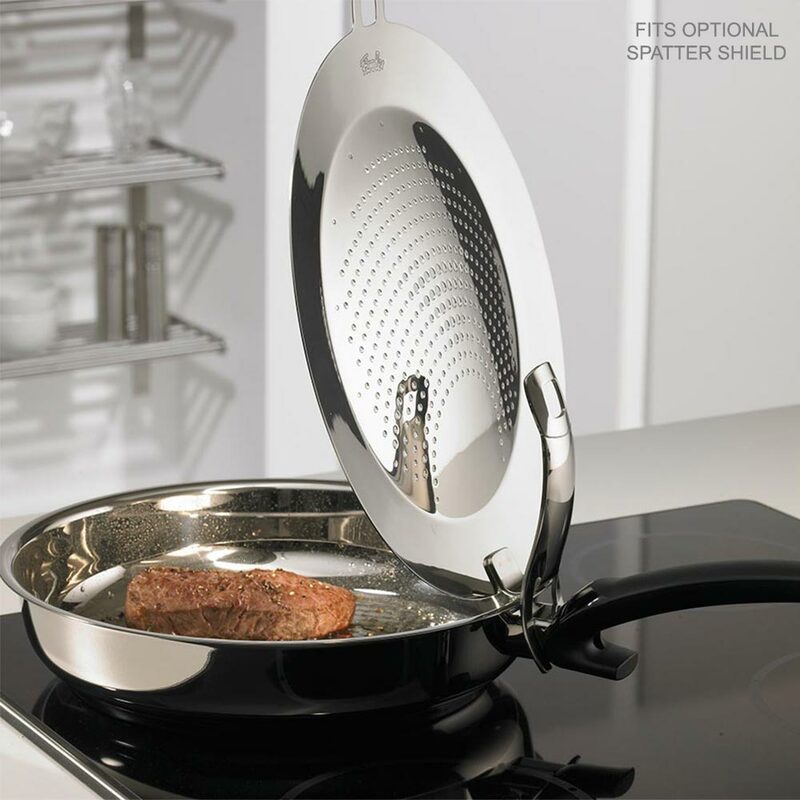 The clever Clippix spatter shield hooks into the fry pan handles, allowing for easier, mess-free-frying. 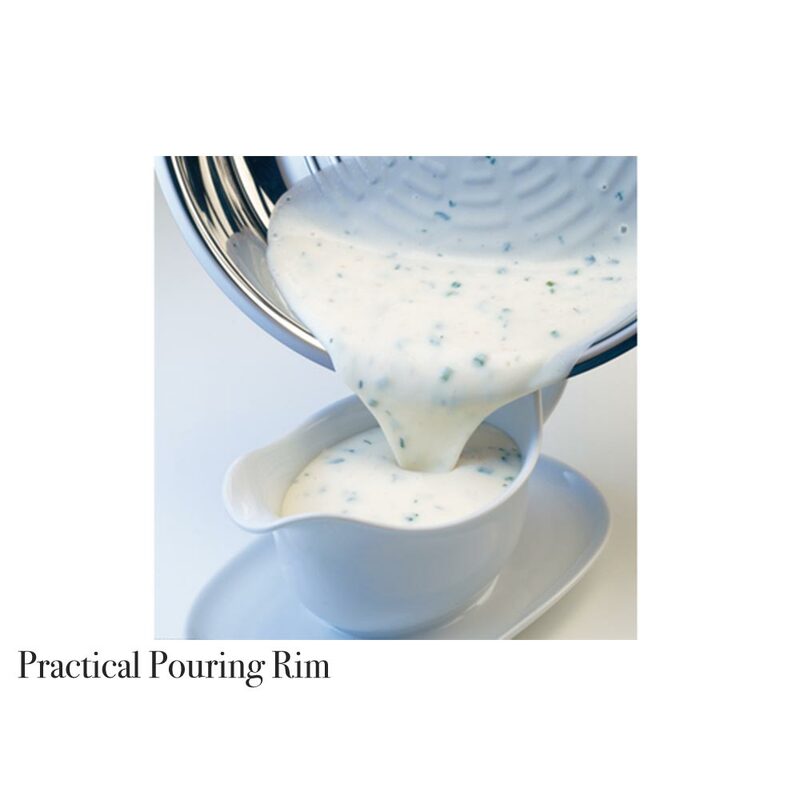 When the Clippix shield is placed in the upright position, condensation drips back into the pan, not on the counter. 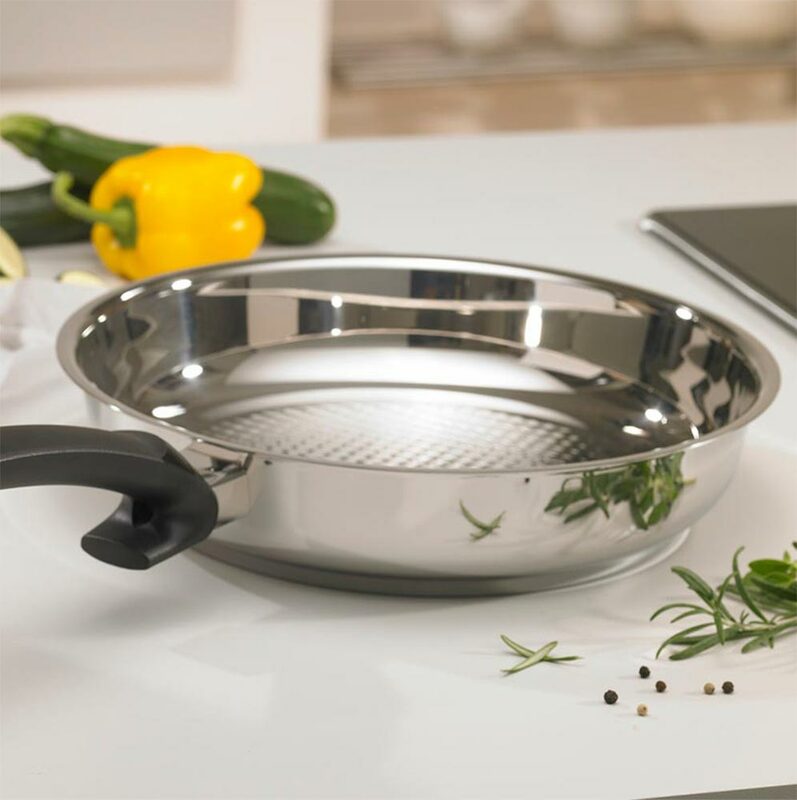 The Crispy steelux comfort pan is equipped with a practical measuring scale inside the pan and the pouring rims on allow for precise and drip-less pouring.